Almost every Valentine's Day presents an interesting challenge for me. 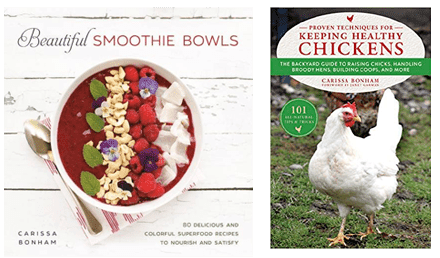 First, we are a reduced sugar family and sweet, sugary things tend to be the gifts of choice. Secondly, I feel weird with encouraging kids to give written sentiments to people when they don't mean what they are saying. Am I the only one that thinks it's strange to give out cards that say "You're the only one for me" or "I only have eyes for you" to 30 people? Anyone? So all that to say: Valentine's Day and I have issues. We want to participate but we try hard to find non-candy, honest valentines. 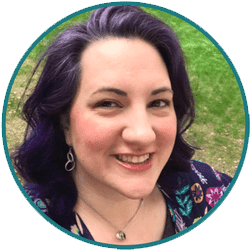 Back in December, I wrote a tutorial for Dollar Store Crafts on how to make a pixie dust necklace. You can make 8 necklaces for $1! Not only do they make great inexpensive Christmas gifts, but I think they make fabulous Valentine's gifts as well. You could even make them into wizard amulets for boys who might not want pixie dust. But what's a Valentine gift without a card? 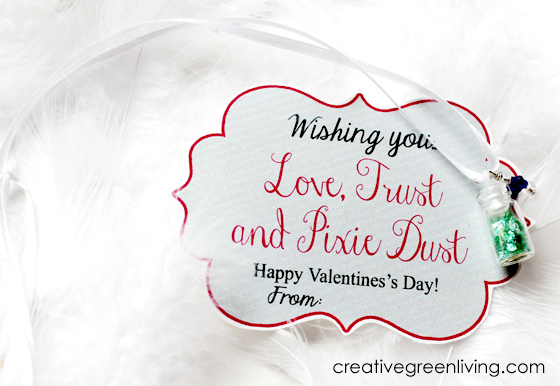 To help make the pixie dust necklaces more givable, I made some free printable Valentine's Day cards that can go with them. 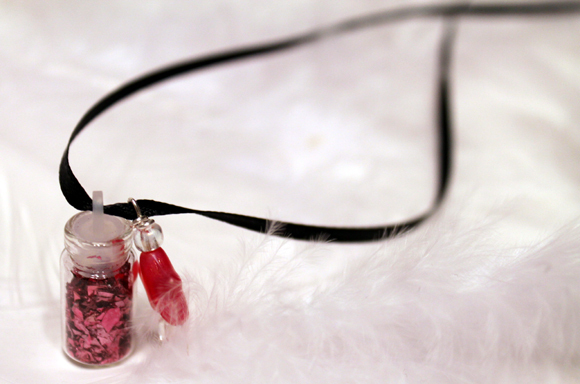 The necklaces are super easy and quick to make. 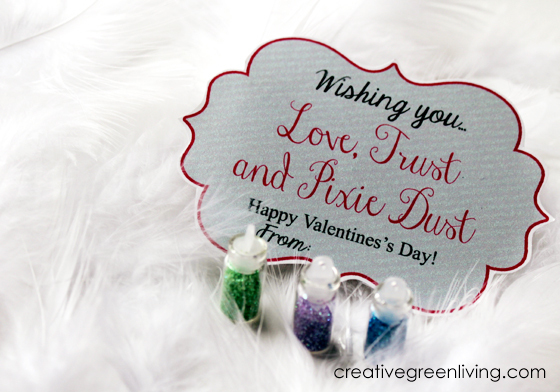 If you are even more strapped for time, I think you could just give the bottles of glitter with a card - especially if you have a valentine who is kind of crafty (and assuming your valentine is old enough to know not to put the bottle in her mouth). 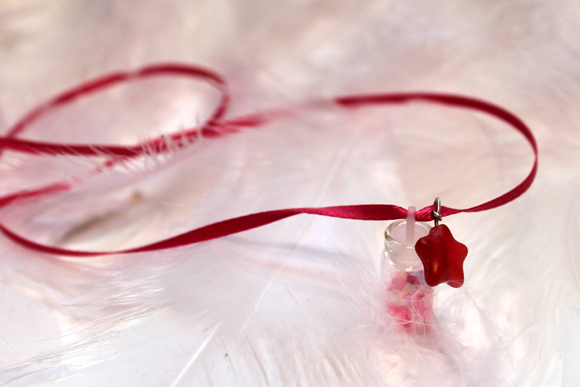 Go to my Pixie Dust Necklace Tutorial on Dollar Store Crafts to learn how to make the necklaces. 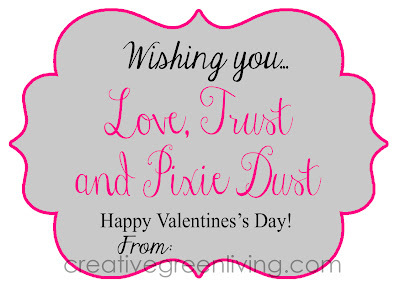 Download the free printable pixie dust valentines cards. 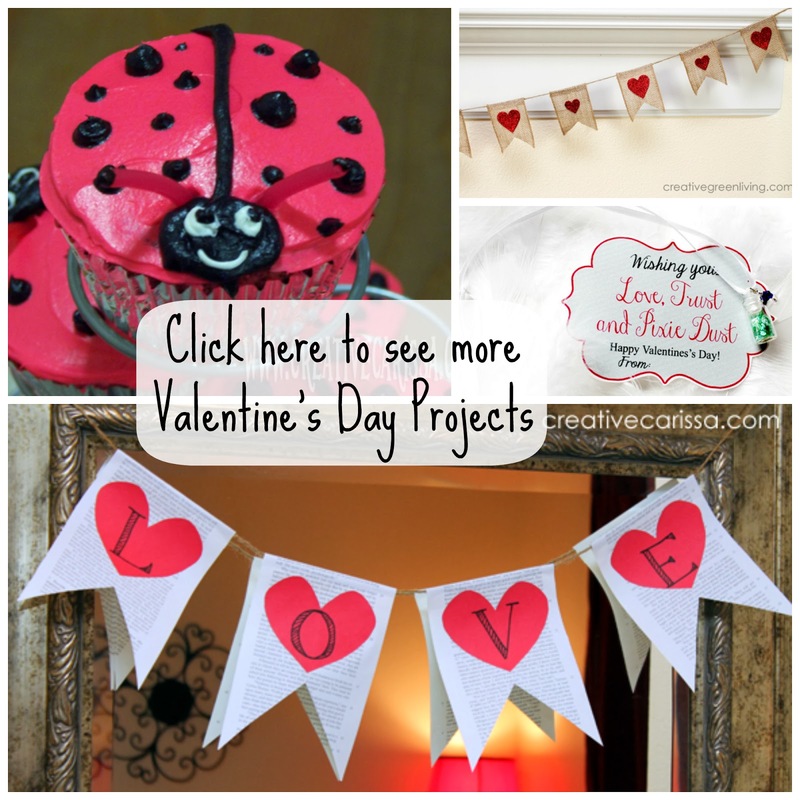 Check out more Valentine's Day projects! 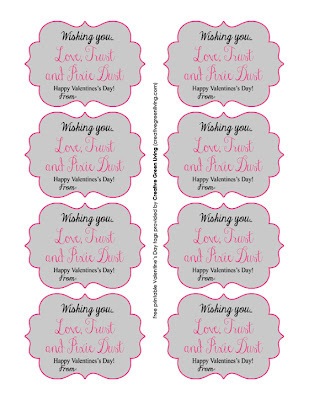 Thank you for this adorable idea & the printable. My friend told me about this because my blog is called, "Faith, Trust & Pixie Dust". I enjoyed my visit to your great site!